Award-winning US novelist Philip Roth has died at the age of 85. The writer, regarded as a leading chronicler of the American experience, produced more than 25 novels including American Pastoral, Sabbath's Theater and The Human Stain, in a career spanning six decades. Roth's literary agent Andrew Wylie confirmed he died of congestive heart failure in a New York hospital on Tuesday night.His biographer, Blake Bailey, said the author died surrounded by "lifelong friends who loved him dearly", adding he was "a darling man and our greatest living writer".Roth never won the Nobel Prize, but was awarded nearly every other accolade going - including the Pulitzer, National Book Critics Circle Award, and the Man Booker prize for international achievement.In 2011 Barack Obama presented the National Humanities Medal to Roth during a ceremony at the White House.The topics Roth wrote about included the Jewish experience in America, promiscuous male sexuality, and the hypocrisy and disillusionment of American political life since the 1940s.Portnoy's Complaint, famously considered one of the "dirtiest" books ever published, details the unconventional sexual adventures - including one involving a piece of liver - of a teenager as described to his psychoanalyst. The Wire writer David Simon and Guardians Of The Galaxy director James Gunn joined in the tributes to the American literary giant.Simon wrote on Twitter: "Kaddish for Philip Roth, the great American novelist of our postwar world. "He added: "Improbably, I had the honor of meeting Philip Roth just a few months ago to discuss an adaptation of Plot Against America. "At 85, he was more precise and insightful, more intellectually adept and downright witty than most any person of any age. What a marvelous, rigorous mind." Gunn shared a photo of the cover of Roth's book The Counterlife on Twitter, writing: "RIP Philip Roth. This one hurts, both me and all of literature. "He taught me when I was at Columbia and was a huge influence, impressing upon me the importance of writing through the hard times. "I have many favorite books by Roth, but this is one of them." 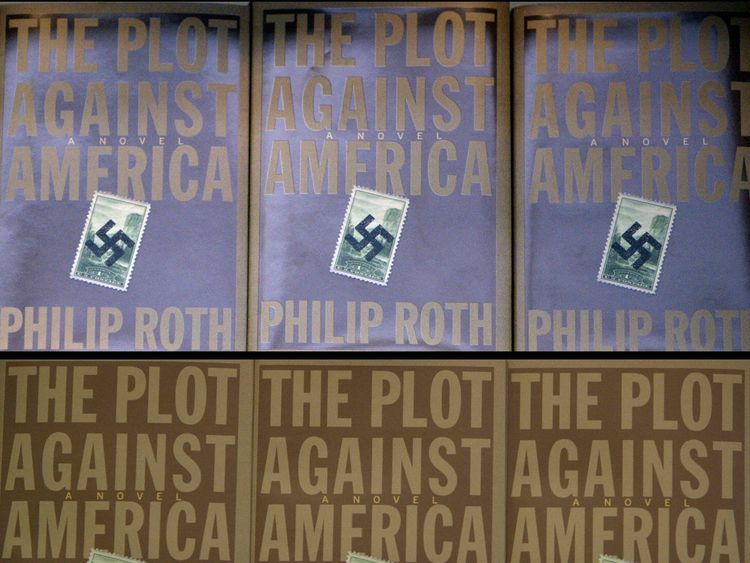 In The Plot Against America, Roth explores a political alternative history - one in which Franklin D Roosevelt is defeated by "America first" candidate Charles Lindbergh in the 1940 US election, resulting in growing anti-Semitism and the persecution of the author's Jewish-American family.His work often blurred the lines between lived and imagined experience, with characters sometimes named after the author or those close to him and alter-ego narrators, like Nathan Zuckerman, reappearing across his many novels.But with women often portrayed as little more than objects amid the lustful agonising of privileged heterosexual men, Roth's work was frequently labelled misogynistic.As the news of his death spread, commentators shared their loved quotes from the author's work and considered his legacy in American literature.The writer officially retired from fiction in 2012, saying "I no longer feel this dedication to write what I have experienced my whole life," and had spent his remaining free time reading, swimming and meeting friends. Roth's death follows that of Bonfire Of The Vanities author Tom Wolfe, who died on May 14 at the age of 88.Screenwriter Randi Mayem Singer, who wrote Mrs Doubtfire, tweeted: "Philip Roth and Tom Wolfe both gone in the same eight days. One thing is certain: Smart is dying, while Stupid is rapidly expanding." » Nobel Literature Prize: After Dylan, who's next?